… on being named Time‘s Person of the Year. Way to go! 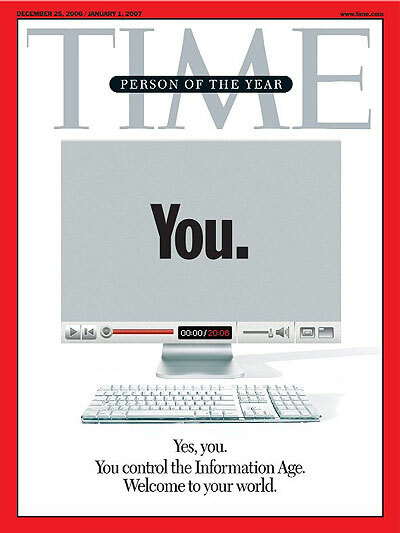 Be sure and thank Web 2.0 in your acceptance speech! “In 2006, the World Wide Web became a tool for bringing together the small contributions of millions of people and making them matter” (read more).